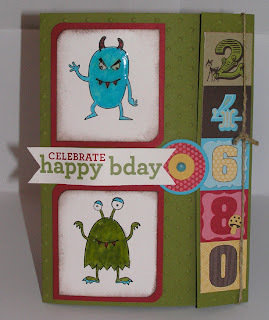 Scarey but very cute Make a Monster Birthday Card. 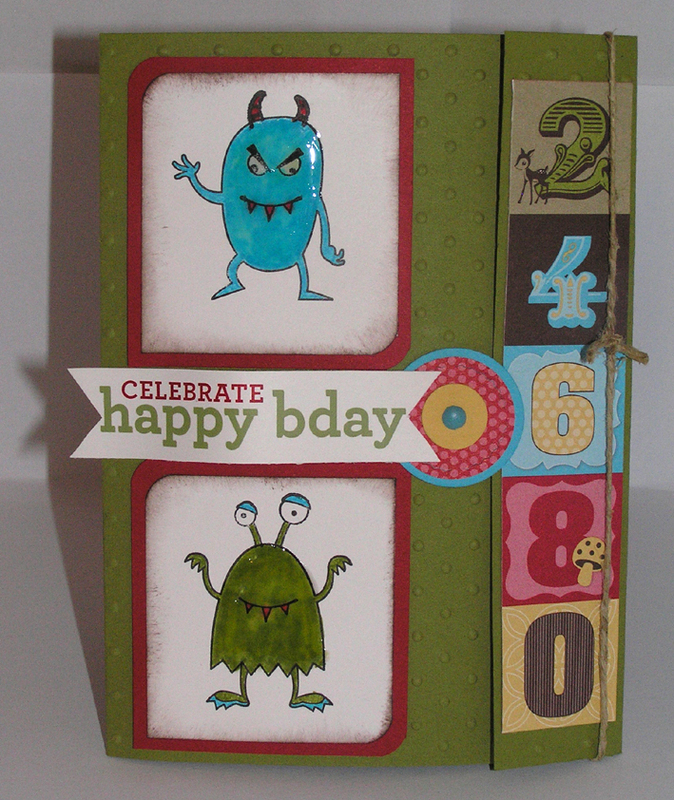 The Kids really like this card and it was fun to put together. This set comes with many different parts to make up your monster. The crystal effects that I used on the bodys really gives this card a wow factor and the Play Date Rub-ons makes putting words on a breeze. Images © 1990–2014 Stampin’ Up! Hi Everyone and Welcome to my Blog. My name is Juliette Riddell and I have been a Stampin Up Demonstrator now for 5years, guess what I LOVE IT. Im a mum to two gorgeous kids Thomas and Ellie-May. Im married to a spunky hardworking husband Nigel . We have finally purchased our own Farm back home in the Waikato. I Juliette Riddell as an independent Stampin’ Up! demonstrator take sole responsibility of the use and content of the classes, services, or products offered on my personal blog is not endorsed by Stampin’ Up!. home please feel free to send me an email.